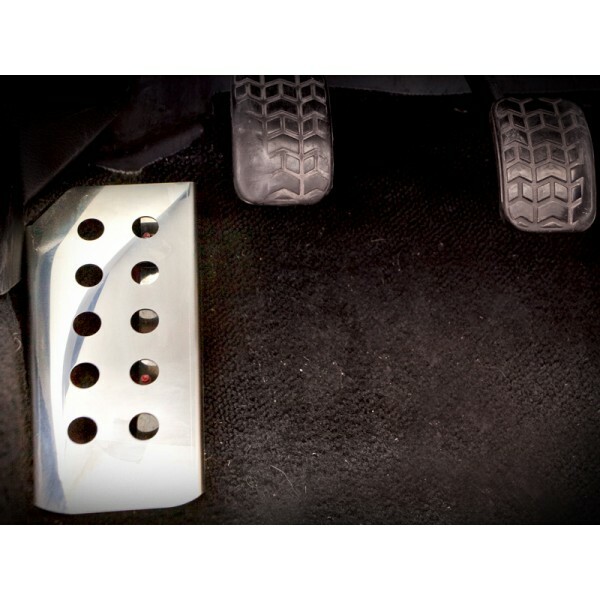 The dead pedal replacement is a bolt on solution that gives the maximum space in the footwell. Finished in mirror polished stainless steel it fits over the welded bolts and builds up only two centimeters. Fits with or without the side footwell trim, although maximum space for wider shoes is achieved without the trim. 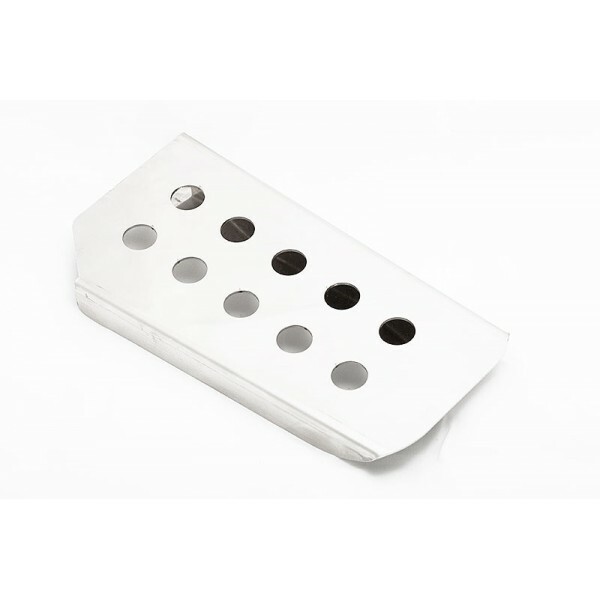 Fitting kit consists of replacement nuts and is provided.